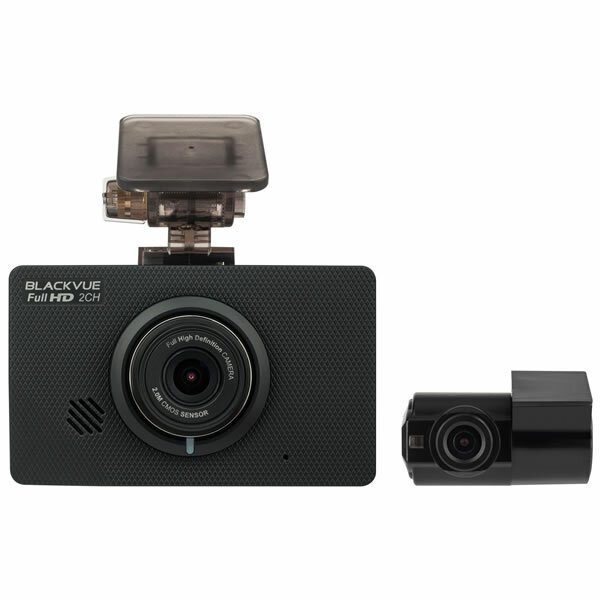 BlackVue DR490L is a leading front and rear in-car video camera for installing inside your vehicle. The BlackVue DR490L front camera records in Full HD at resolution 1920x1080 (@30fps) and the rear camera records in 1920px1080 (@30fps). 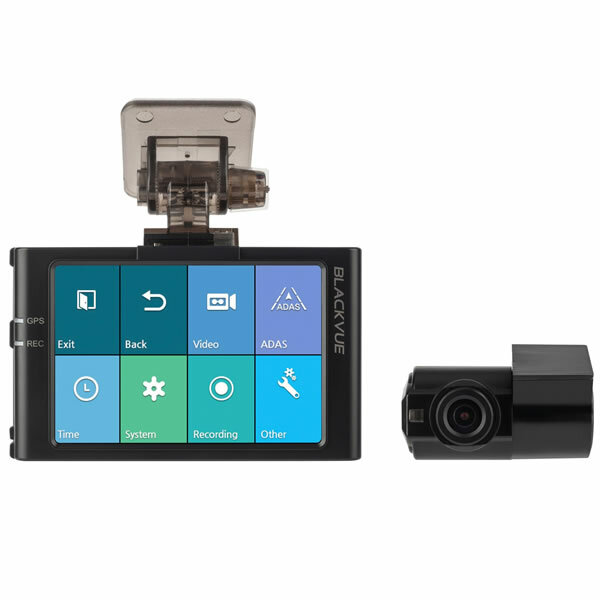 This Blackvue dash cam features a built-in 3.5 inch screen for instant playback of video and live viewing of recorded video. The BlackVue has a parked mode that detects motion when parked and starts recording. The BlackVue 490L-2CH is a 2 channel dashboard camera to capture events in front and behind your vehicle. Not only can you capture video whilst driving, you can also capture video when your vehicle is parked which uses motion detection to begin recording. This Blackvue includes a 3.5-inch touch screen LCD. Full HD 1080p, (front and rear cameras) good quality videos in low light conditions are provided. The front and rear camera both record at 30 fps (frames per second). Starvis image sensor (front camera) provides image clarity day and night. There is a 130 degree view angle on the front and rear cameras. External GPS is an optional extra. With this option you can use the GPS technology to save your route (GPS location and speed) which can be viewed back on a windows or mac computer (it is possible to turn off speed recording). The BlackVue DR490L-2CH has been designed to be located on the front windscreen. 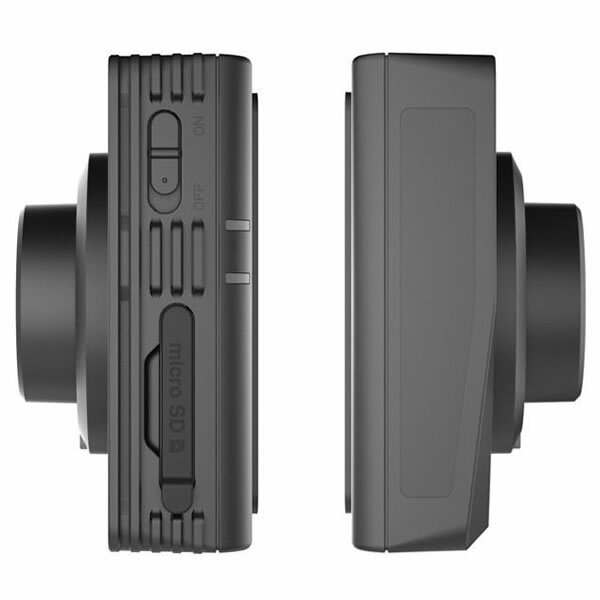 If you are looking for a Blackvue that is discrete (without a screen) then please view the Blackvue dash cam range here. Parked mode automatically switches to parked mode when vehicle is parked and only records to memory card when motion or impact is detected. Furthermore the video buffer will record for a few seconds leading to the triggering event so you record before the event to see the full event. The DR490L-2CH must be hard wired into your vehicle for the parking mode to work. The Blackvue 490L-2CH includes all the necessary accessories supporting parking mode. This includes the integrated voltage cut-off function on the device and professional installation cable. Using the includes cable the Blackvue 490 is connected to the vehicles battery via the fuse box whereby it will then detect the vehicle's ignition being turned on and off and automatically activate parking mode recording. Whilst the Blackvue will continually monitor the view when parked the video(s) will only be saved when motion is detected. The BlackVue will record in a loop and overwrites older files when the memory is full. Files are saved and organised on the microSD in an efficient way reducing the need for formatting the card and prevents file corruption even after multiple write cycles. The Blackvue includes microphone and speaker (for voice guidance). Advanced Driver Assistance System for Lane Departure Warning System is built-in to the Blackvue DR490L-2CH. Do you have a question about the DR490L that's not been answered on this webpage? Please see our Dash Cam FAQ's for questions from other people. If the answer to your question isn't featured, use the online form to ask us for the answer. Alternatively please telephone 01733 777623 Monday to Friday (9:30am-5:00pm) to speak to one of our sales team. 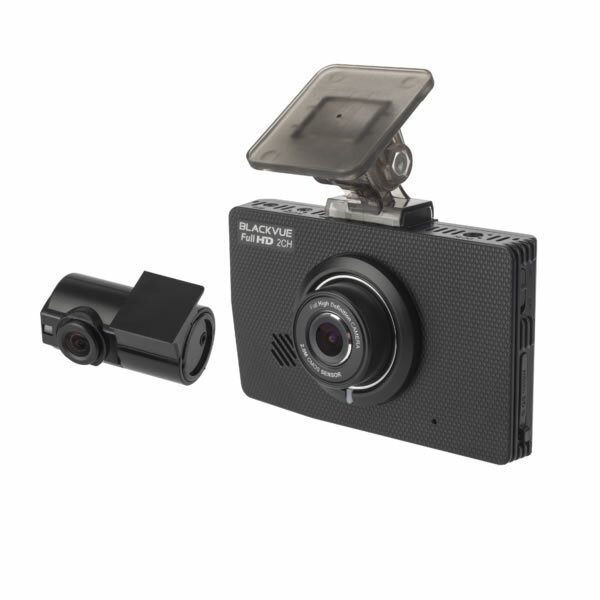 For further information online please see the BlackVue dash cam comparison table. Included in the box with the Blackvue DR490L is a quick release windsceen mount and 12/24v power cable. You can use the windscreen mount to locate the DR490S on the front windscreen. Many customers choose to locate the Blackvue in the centre of the windscreen near the rear-view mirror which offers a discrete installation. The rear dashboard camera connects to the front dashcam via a connection cable which is provided. Additionally, if you'd like to hardwire the BlackVue DR490L HD dash cam into your vehicles battery, you can do so by purchasing the BlackVue Power Magic Pro electric power controller (which is sold separately). The Power Magic Pro will operate in cars, vans and other commercial vehicles with a battery power supply of either 12 volts or 24 volts. In addition, once installed the hardwire power kit enables your BlackVue dashboard camera to continue to operate even when your vehicles ignition is switched off. ‣Angle of view: The front camera is 130 degrees diagonal viewing angle. The rear camera is also 130 degree (diagonal).